Cheers on your weekend ! Thu May 30, 2013 3:59pm EST Comments Off on Want to Play a Game? Try your hand at monetary policy…. “A selloff in junk bonds is fueling fears among some investors that the best days of the bond boom may be in the past. The spread between the yields on low-rated corporate debt and comparable U.S. Treasurys jumped 0.18 percentage point Wednesday to 4.39 points, its highest level since April. The action is unusual because junk bonds tend to outperform higher-rated debt such as Treasurys and high-rated corporate bonds when interest rates rise. The yield on the benchmark 10-year Treasury note has risen 0.5 percentage point over the past month. The selloff of junk bonds this week indicates that many investors who have been pouring money into riskier debt were caught off guard by the pace of the past month’s rise in Treasury yields. Investors who moved into riskier asset classes such as junk bonds because of a lack of high-yielding alternatives may be pulling away from the assets as they position themselves for an eventual return to higher interest rates, which have been held near record lows by robust central-bank support programs, observers said. “The salad days for risk assets might be drawing to a close,” said Thomas Byrne, director of fixed income at Wealth Strategies & Management LLC. He said the selloff has been driven by investors fleeing from bonds amid chatter that the Federal Reserve might soon begin reducing the scale of its $85 billion monthly bond-purchase program known as quantitative easing. Typically, the spread between Treasurys and junk bonds narrows as Treasury yields rise, as investors bet that an improving economy will mean fewer defaults on bonds issued by low-rated companies. “While earnings have grown only modestly over the past few quarters, stock prices have surged, sending what could be a disconcerting message to investors. The Dow industrials, in particular, have seen a 17 percent jump in 2013 alone even as earnings in the past two quarters have grown little. After being stuck at $19.17 a share in early 2009, Dow earnings jumped to a peak of $36.15 in 2012. But they’ve stayed in that range over the past two quarters, hovering around $35 and most recently at $34.84 in the first quarter. A similar situation has happened on the Standard & Poor’s 500, which saw first-quarter earnings increase 5.1 percent on revenue growth of just 1.1 percent. “DETROIT (AP) — Electric car maker Tesla Motors Inc. promises to boost the number of fast-charging stations in the U.S. and Canada to make cross-country travel by electric car possible in the next year. The expanded “supercharger” network will allow owners of Tesla’s $70,000 Model S sedans to travel from Los Angeles to New York, probably by the coming winter, as well as make other long-distance trips. The Model S can travel about 200 miles, or for about three hours, when fully charged. With the network, it can be recharged to 50 percent of its battery capacity in 20 to 30 minutes, allowing drivers to make quick stops before driving on. “SINGAPORE/PARIS (Reuters) – Singapore Airlines Ltd agreed to spend $17 billion to buy 30 Airbusand 30 Boeing Co. aircraft, underscoring the airline’s bet on a pick-up in the struggling premium class market. The significant orders announced on Thursday make Singapore Airlines (SIA) the long-awaited launch customer for a proposed stretched version of the 787 Dreamliner, boosting Boeing’s plans to offer a 320-seat aircraft designed in large part for crowded intra-Asian routes. The move comes as SIA attempts a big strategy overhaul, pushing into the budget airlines segment and expanding its regional network. “They demonstrate our commitment to the Singapore hub and our confidence in the future for premium full-service travel,” SIA Chief Executive Goh Choon Phong said in a statement. This month, SIA reported weaker-than-expected full-year results and warned of a deteriorating environment as it struggles to cope with the rapid emergence of Gulf carriers and low cost Asian rivals such as Malaysia’s AirAsia Bhd and Indonesia’s Lion Air. State-backed Emirates Airline, Etihad Airways and Qatar Airways are stitching deals, while Gulf states race to become regional hubs linking Asia-Pacific and Europe. U.S. equities managed not to have follow through after a down Wednesday. Circle jerk action in true fashion. Currently the DOW is up 85 with WTI up a bit and Brent remaining negative. Gold is up nicely today, and the 10 year treasury is currently hugging the flat line after being in negative territory. Wed May 29, 2013 10:08pm EST Comments Off on What If Stocks, Bonds and Housing All Go Down Together? “About the claim that central banks will never let asset bubbles pop ever again–their track record of permanently inflating asset bubbles leaves much to be desired. The problem with trying to solve all our structural problems by injecting “free money” liquidity into financial Elites is that all the money sloshing around seeks a high-yield home, and in doing so it inflates bubbles that inevitably pop with devastating consequences. Injecting liquidity by creating credit and central bank cash out of thin air is not a helicopter drop of money into the economy–it is a flood of money delivered to the banks and financial elites. The elites at the top of the neofeudal financialization machine already have immense wealth, and so they have no purpose for all the credit gifted to them by the central banks except to speculate with it, chasing yields, carry trades and nascent bubbles (get in early and dump near the top). No wonder the art market and super-luxury auto sales have both exploded higher. Thanks to the central banks’ liquidity largesse, the supremely wealthy literally have so much money and credit they don’t know what to do with it all. If you want to borrow money to attend college, the government-controlled interest rate is 9%. If you want to speculate in the yen carry trade or buy 10,000 houses, the rate is near-zero or at worst, the rate of inflation (around 2% to 3%). If you want to borrow money for anything other than a socialized mortgage to buy a single-family home, tough luck, you don’t qualify. But if you want to speculate with $10 billion–here’s the cash, please please please take it off our soft central-banker hands. This just as thousands were gaining equity in their homes and finally becoming eligible. At the same time, it is pushing some renters off the fence, fearing they too will miss the boat on the best conditions for home buying. “The latest reading on April margin debt at the NYSE showed an all-time high. The most recent reading of $384,370MM topped the all-time high from July 2007 when margin debt reached $381,370MM. As I’ve explained in the past, this is one sign of how the disaggregation of credit has come to dominate many borrowing trends in the last 30 years. Instead of seeing credit used for productive purposes it has increasingly been used for things such as speculation in asset prices. My guess is that this is largely the result of a Fed driven economy whose policies have been uniquely asset price focused leading many to speculate due to excessive faith in the “Bernanke Put” or the “Greenspan Put”. Income ranges for family of four: Highest quintile ($163K and up); fourth quintile ($110K to $163K); middle quintile ($77K to $110K); second quintile ($50K to $77K); lowest quintile (less than $50K). There are more than 200 tax breaks in the U.S. tax code, and the top 10 for individuals are by far the most expensive. How expensive? They will cost federal coffers $12 trillion over the next decade. But the dollar benefits of those top 10 breaks are not distributed evenly across income groups. The top 20% of households will enjoy more than half of the combined benefits of the major tax expenditures this year, according to a report by the Congressional Budget Office released Wednesday. And within that top 20%, the benefits skew disproportionately to the highest earners. The top 1% — who make at least $327,000 as individuals or $654,000 as a family of four — get 17% of the breaks’ value. The largest breaks include the tax-free treatment of employer contributions to workers’health insurance; tax preferred retirement savings; state and local tax deductions; and reduced rates on capital gains and dividends. That’s not to say that low- and middle-income households don’t benefit from the major tax breaks and wouldn’t notice if they were curtailed — a distinct possibility when lawmakers eventually do embark on tax reform. This year, households in the middle income quintile will enjoy about 13% of the value of the biggest breaks, the budget office estimates. Those in the middle include one-person households earning roughly $39,000 to $55,000 and four-person households earning between $77,000 and $110,000. 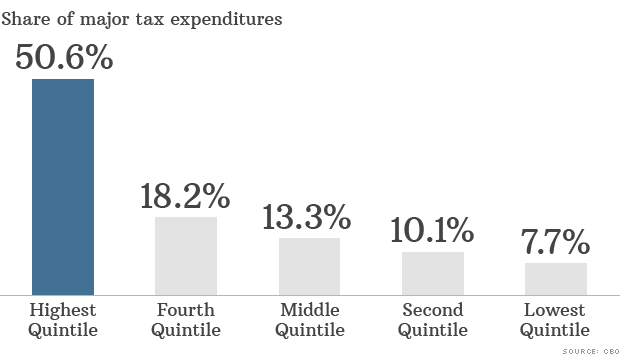 The lowest earners, who make no more than $25,000 as singles or $50,000 as four-person households, will get only 8% of the benefit of the tax expenditures. What value they do see will come primarily from the Earned Income Tax Credit and, to a lesser extent, the child tax credit. “Stocks are hitting record highs on a seemingly daily basis, and BlackRock CEO Larry Fink thinks the bull market has another five or six years to go. Investors could experience annual returns of 8 to 10 percent during that period, he tells CNBC. This could put the Dow Jones industrial Average above 28,000 in 2019. “Sounds pretty good, doesn’t it?” he quips. That would represent an 83 percent jump from the 15,314 level prevailing Wednesday afternoon. The Dow reached an all-time peak of 15,542 a week ago. Given corporate earnings strength, stocks offer attractive values, Fink says. “This you can bet on: The Federal Reserve will eventually stop its $85 billion-a-month bond-buying program, an economic lifeline aimed at getting the country back on its feet after the financial crisis. While no one knows when the central bank will start winding down the quantitative easing that has pushed down interest rates, Fed Chairman Ben Bernanke hinted last week that the taps may start running dry sooner rather than later — perhaps as early as this summer. The very thought sent a shiver through world stock and bond markets, though investors took some comfort after a closer look at Bernanke’s remarks and reassurances from European and Japanese central banks. 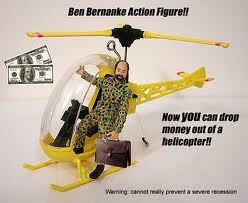 Markets got back on track this week on the prevailing view that Bernanke may not act all that soon after all. Still, the underlying message was clear: All good things must come to an end. 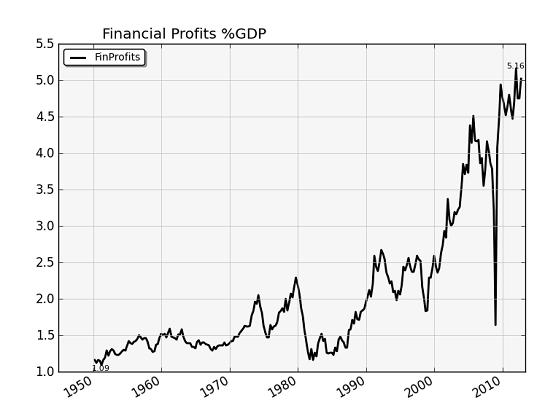 That said, there are ways to protect your portfolio and perhaps profit from the big shift. Experts recommend three strategies — a move into cash, alternative bond funds and buying shares that have lagged the recent run-up in stock prices — among other ideas.